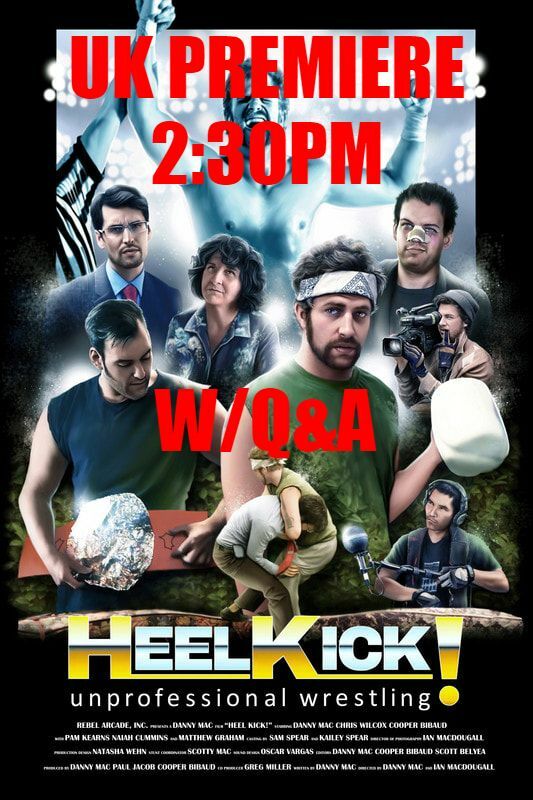 Festival - BURNING HAMMER FILM FESTIVAL. 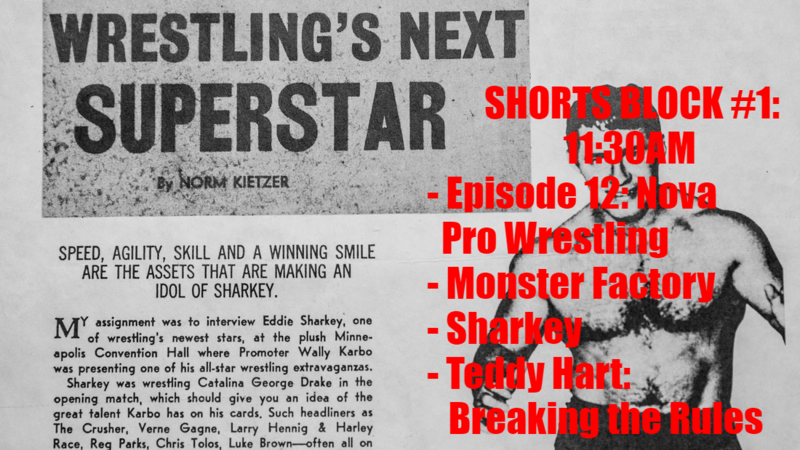 Does wrestling need to be studied academically? 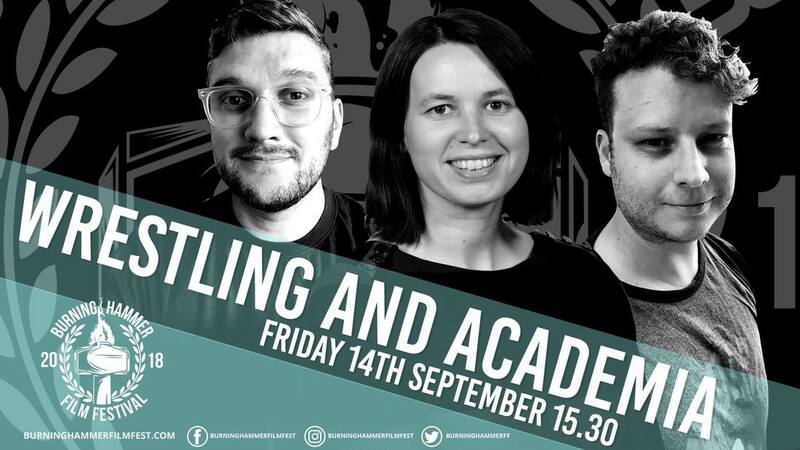 Dr Claire Warden: Senior Lecturer in English and Drama, Loughborough University and Commissioner of Wrestling Resurgence. Dr Ben Litherland: Lecturer in Journalism and Media at University of Huddersfield. 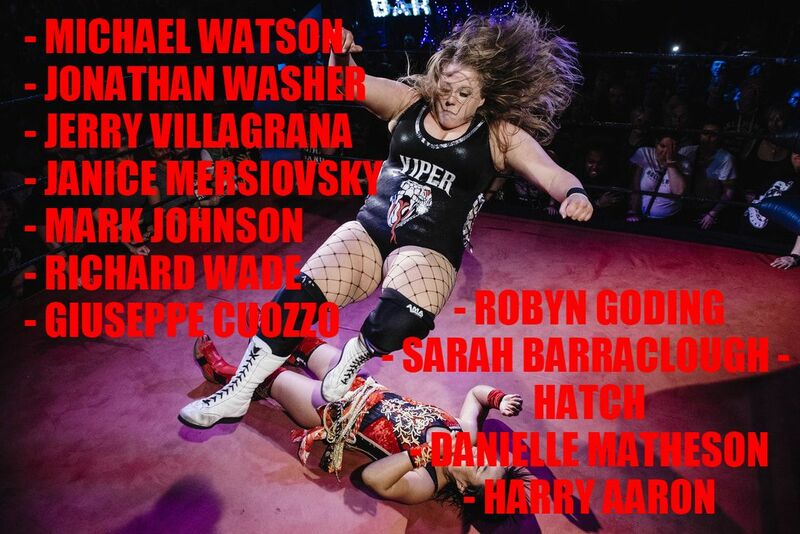 Dr Tom Phillips: Lecturer in Humanities at the University Of East Anglia and Author of the forthcoming book ‘Fight Like a Girl: Performance, Promotion and Fandom in Contemporary Women’s Wrestling. 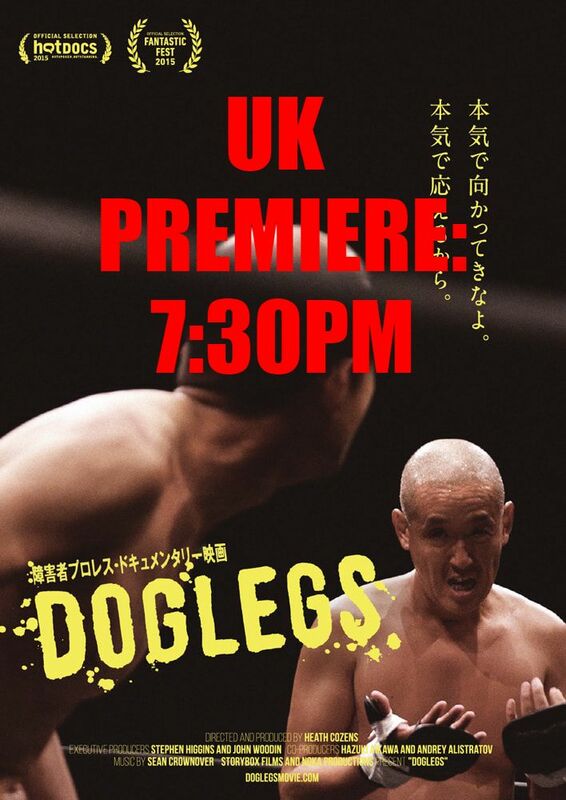 ​with an introduction by Dr Tom Phillips. As a member of a “scene”, how do we actively attempt to make it safer, inclusive, and more fun for everyone? 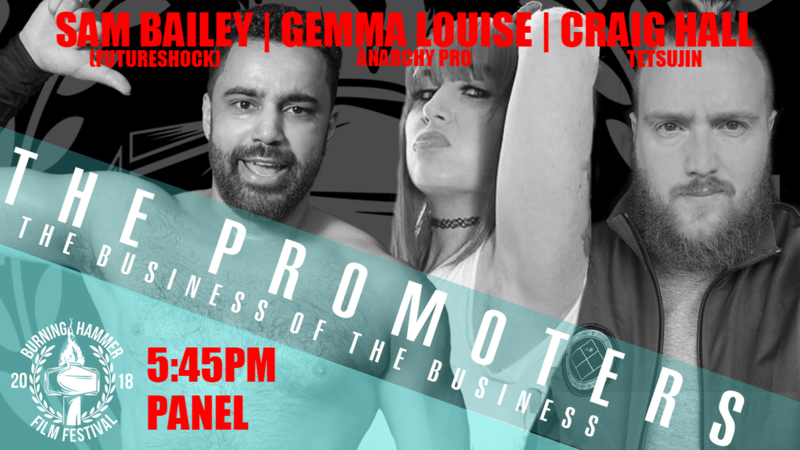 Vicky Haskins, Chuck Mambo, Jack Sexsmith, and The Lady J discuss social change in the wrestling community on Saturday, 15 Sept. at 2:45pm. As a member of a “scene”, how do we actively attempt to make it safer, inclusive, and more fun for everyone? 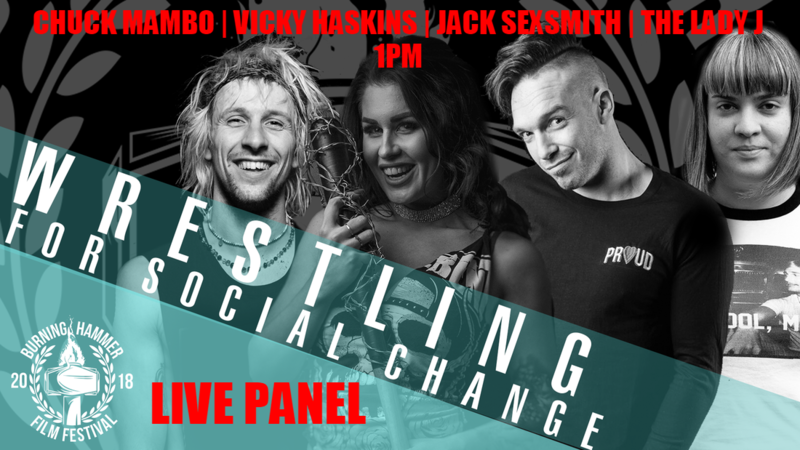 Vicky Haskins, Chuck Mambo, Jack Sexsmith, and The Lady J discuss social change in the wrestling community on Saturday, 15 Sept. at 1pm. 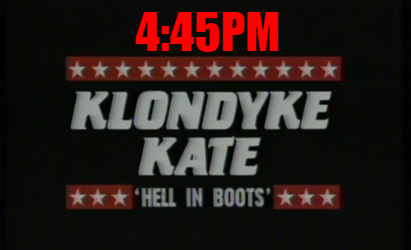 Hosted by professional wrestler TK Cooper. 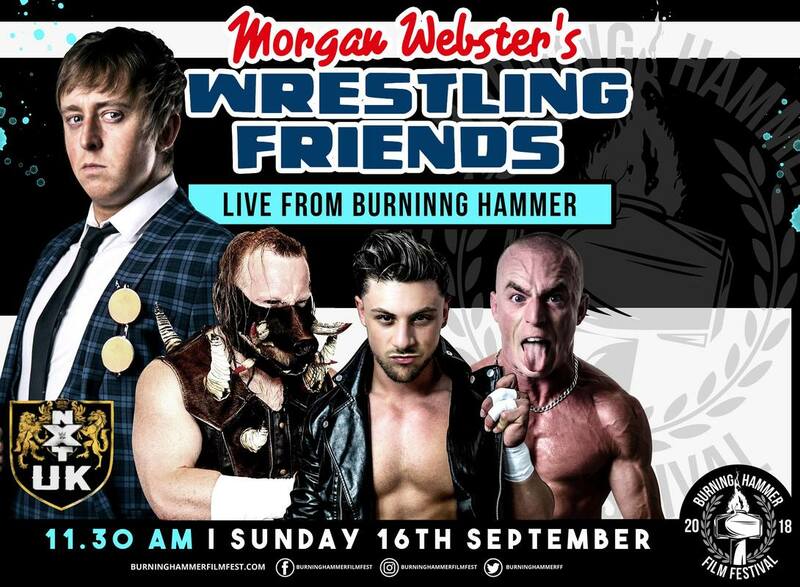 Burning Hammer Film Festival presents: Morgan Webster's Wrestling Friends Podcast Live. 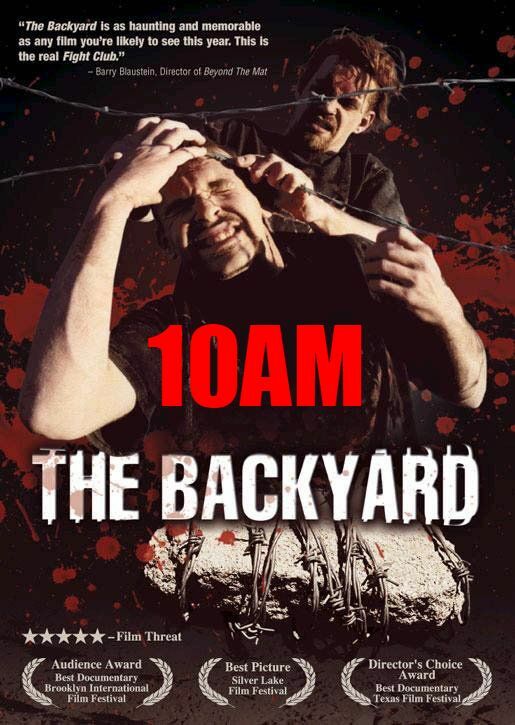 Drag your mattress out to the garden and join your host (or as he likes to call it, facilitator) Flash Morgan Webster as he brings together his Wrestling Friends to discuss their origins - in the backyard! 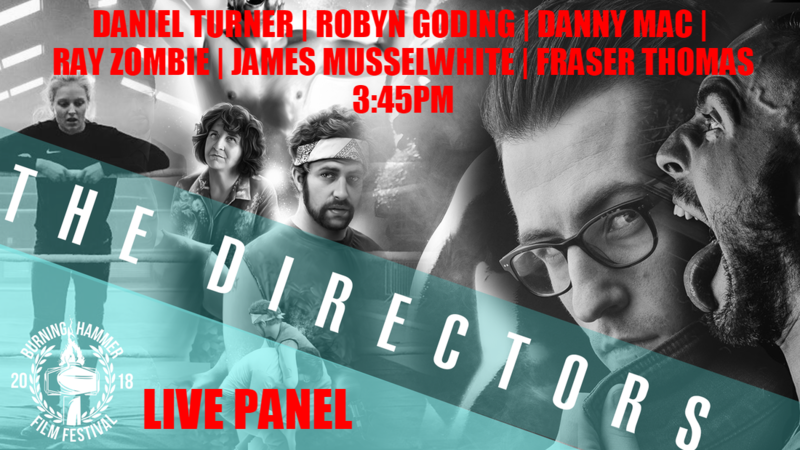 Be there live on Sunday 16 September at 11:30am. 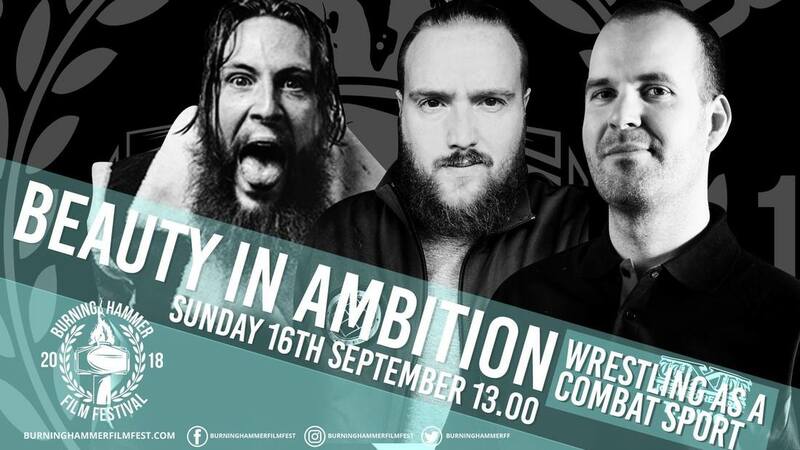 Joining Flash on this special backyard wrestling themed convo is fellow NXTUK cohort Mike 'Wildboar' Hitchman, Kip Sabian and Paul Robinson. 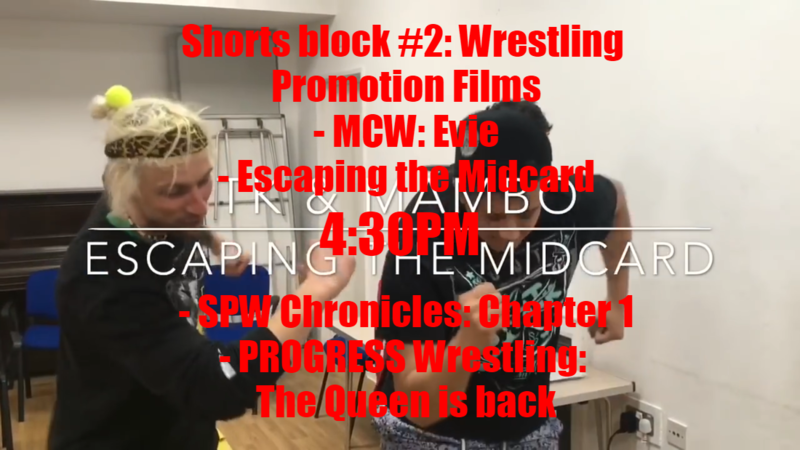 Dale Beaumont-Brown hosts filmmakers Robyn Goding, Danny Mac, Daniel Turner and Ray Zombie along with James Musselwhite and film subject Fraser Thomas as they talk shop and discuss the art of filmmaking in the wrestling scene. 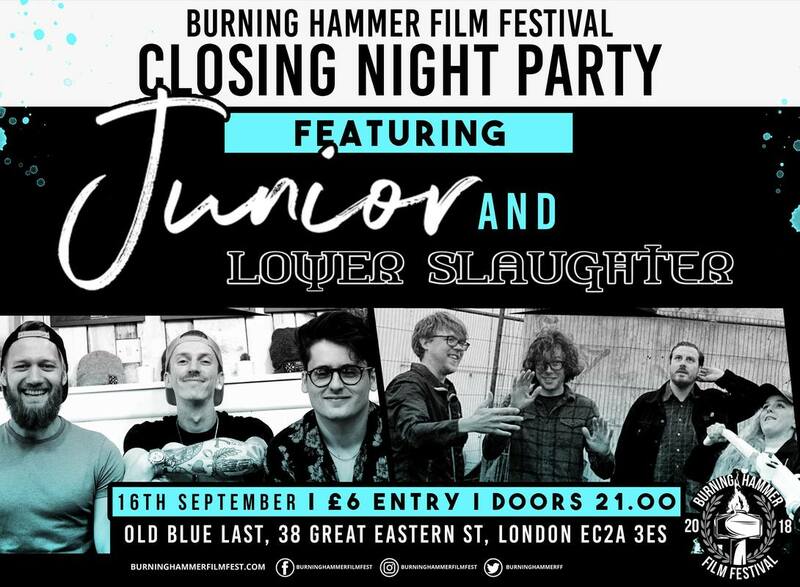 Burning Hammer Film Festival presents our Closing Night Party. 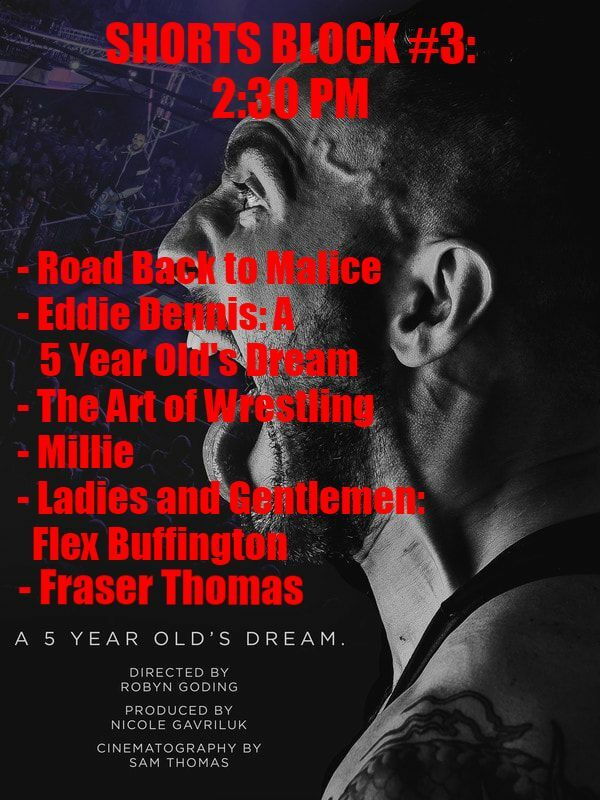 Come and celebrate the culmination of the very first wrestling film festival in Europe with some lovely punk rock ear worms and some dancing.